BIND is open source software that implements the Domain Name System (DNS) protocols for the Internet. It is a reference implementation of those protocols, but it is also production-grade software, suitable for use in high-volume and high-reliability applications. 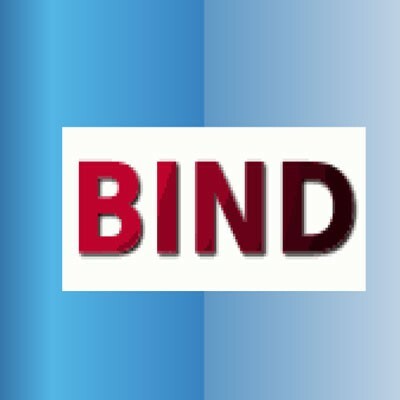 BIND is available for free download under the terms of the ISC License, a BSD style license. BIND 9 was developed by Nominum, Inc. under an ISC outsourcing contract, and the first version was released October 9, 2000. It was written from scratch in part to address the architectural difficulties with auditing the earlier BIND code bases, and also to support DNSSEC (DNS Security Extensions). Other important features of BIND 9 include TSIG, nsupdate, IPv6, rndc (remote name daemon control), views, multiprocessor support, and improved portability architecture. Rndc uses a shared secret to provide encryption for local and remote terminals during each session. The development of BIND 9 took place under a combination of commercial and military contracts. Most of the features of BIND 9 were funded by UNIX vendors who wanted to ensure that BIND stayed competitive with Microsoft's DNS offerings the DNSSEC features were funded by the US military, which regarded DNS security as important.